When I started my family history research more than fourty years ago, one of the goals was to discover some of my roots in distant lands. Research on family lines outside of the United States is often challenging with plenty of frustrations and dead-ends. Hard evidence is difficult to find, but there are tantalizing clues if the searcher is willing to invest time and apply a bit of creative thinking. In the past several years I have been able to fulfill this long-time quest, tracing one family back to England and Ireland. Gradually, pieces of the story have emerged and when the pieces were combined with some knowledge of history, I was able to at least gain a hazy picture of what life was like for Martin and Anna Rafferty and their children. 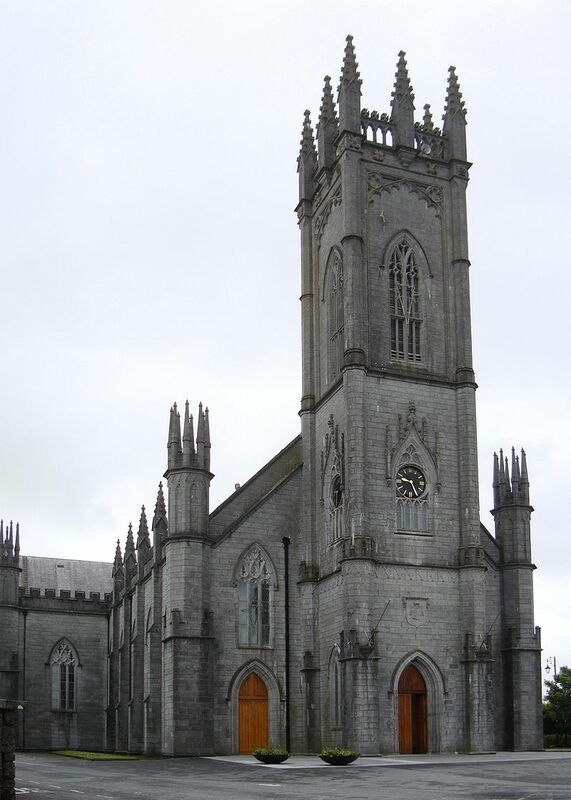 Martin’s parents were Thomas and Bridget Rafferty and evidence suggests they born about 1810 in the village of Tuam, County Galway, Ireland. They were married about 1830 and probably had a large family, but Martin, born about 1830, is the only one known at present. No records have been found concerning the Rafferty family in Ireland, so little is known of them until Martin reached adulthood and married Anna Mary Corbet in 1850/51. It is unknown where their marriage took place, but soon they were living across the Irish Sea in Manchester, County Lancashire on the west coast of England. This is where their first child, Bridget was born, in January 1852. Later, they moved to Brigg, County Lincolnshire, a small village in central England near the east coast. Whether it was before or after their marriage, why did Martin and Anna decide to leave their ancestral home and relocate to England? This is purely speculation, but the answer likely relates to the lingering effects of the Irish Potato Famine, which was at its peak during the years of 1845-1849. The Potato Famine or The Great Hunger lasted for five hard years, followed by another several years of gradual recovery. During this time, hundreds of thousands of Irish people died, many of them from disease, as well as from hunger. 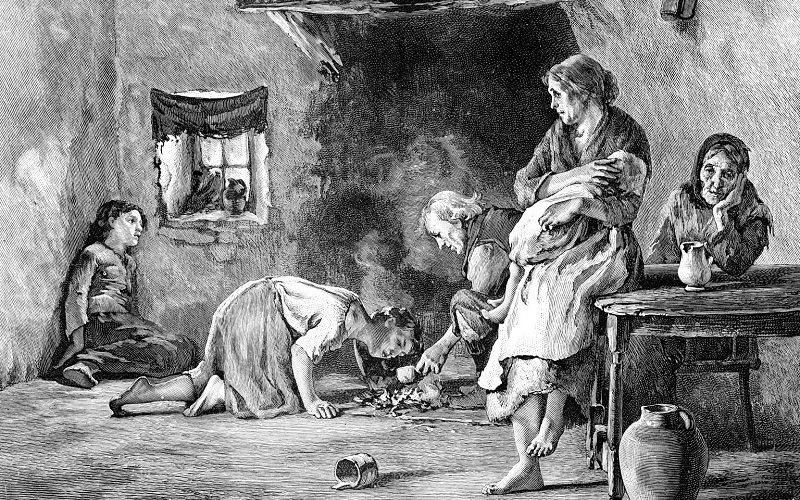 Recent studies indicate that the population of Ireland dropped so precipitously that when the famine came to an end, as many as 1 million people had died or emigrated from the island, mostly to America. The Irish population was reduced by at least 15% during those terrible years. The Raffertys had to endure the Potato Famine just as much as any other family, but Martin and Anna managed to survive and depart Ireland with hopes of building a new life. After a time living in Manchester, the family is recorded in the England census for Brigg, Lincolnshire County during the years 1861, 1871, and 1881 where their other children were born. In 1881 the family lived at 18 Garden Alley and Martin’s occupation was agricultural laborer. At some point, Martin and Anna decided to leave England for America, but the exact reason may never be known. One possible explanation is that Roman Catholics endured persecution and discrimination in England, as most of the people of Great Britain were adherents of the Church of England. Because of this, Irish Catholics were often despised and lacked financial opportunity. Working men usually had to accept lower wages than their English neighbors. Whatever their reasons might have been, the entire extended family made preparations to leave, but it seems they made the Atlantic crossing in small groups. Many families made that choice, either for the sake of convenience, or to ensure that if there was a mishap (ship disaster), at least some would survive and make it to America. As for the Rafferty family, all made the crossing, arriving in the United States between the years 1883 and 1885. 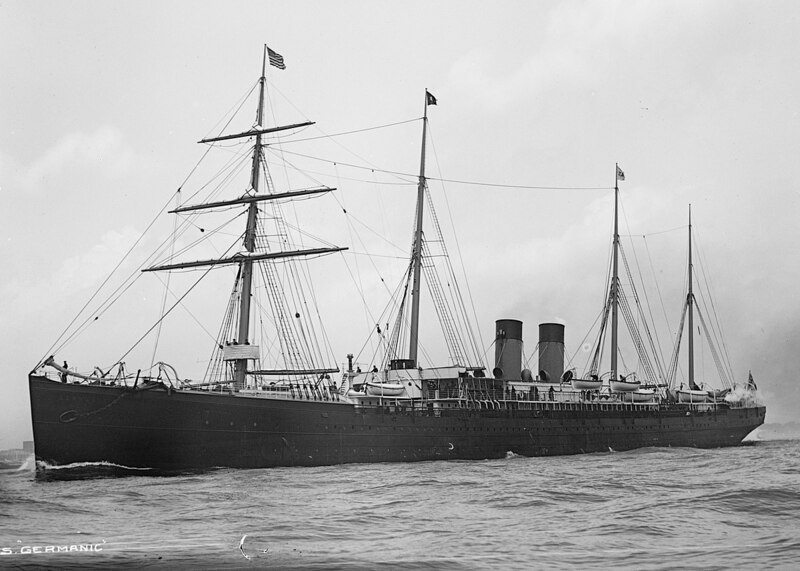 On April 24, 1884, Martin, Anna, and their youngest son Dennis boarded the SS Germanic in Liverpool, England and crossed the Atlantic, arriving in New York City on May 3, 1884. We can only wonder what it might have been like to board the Germanic and within hours, watch England and Ireland fade from sight as the ship headed south through the Irish Sea and then steer to the west toward America. What were the thoughts of Martin and Anna as they left their former life and their homelands behind? What did they say to each other? The voyage took about nine days and they disembarked in New York City. 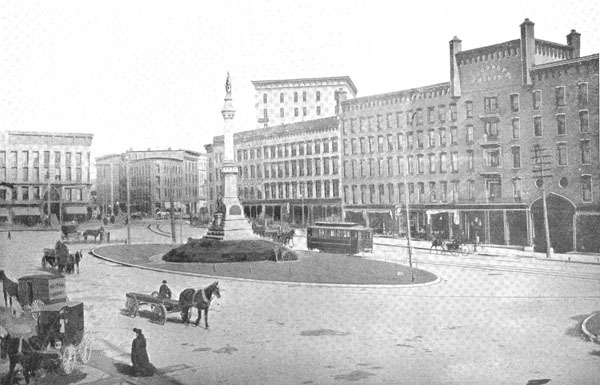 We cannot know if a family member met them there, or if they had to make their way to their new home on their own, but they most certainly arrived in Watertown later that month – May 1884. Why Watertown? Unfortunately, the family reasoning that led to this decision remains very much a mystery. NOTE: Bridget Rafferty Cleary’s obituary (1927) states that the family lived briefly in Canada, but I have been unable to substantiate this. Martin, Anna, and their seven children remained residents of Watertown throughout their adult lives, and as good Irish Catholics of that time, six of the seven married and five of these had very large families. Martin and Anna were blessed with at least 45 grandchildren. My paternal grandmother was Ida Margaret (Rafferty) Michaels and I knew her to be of Irish descent. Unfortunately, no photos, documents, or stories were handed down as both of her parents and all of her grandparents died while she was quite young. She grew to adulthood under the love and care of an aunt and uncle, James and Mary (Rafferty) Devine. So then… on to discover more of the story. By now, Martin and Anna have hundreds of descendants spread across the United States!